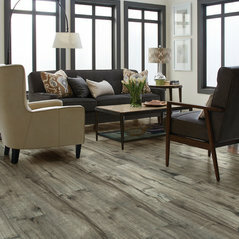 *Authorized Shaw Flooring Dealer* Thank you for considering The Floor Store for your flooring and cabinetry needs. The Floor Store stocks many products for immediate purchase. We are able to extend exceptional savings opportunities to our clients thanks to our volume discounts from the manufacturers, making us the easy choice for many Macon area homeowners. With our in-stock merchandise, you have the opportunity to inspect and experience the product before you order samples to try at home. We also offer special order products for ultimate variety. 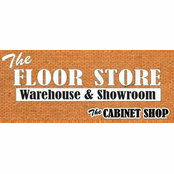 The Floor Store thrives on the happiness and satisfaction of our customers. We have more than 30 years of experience designing, installing and selling custom cabinets and flooring in Warner Robins and the surrounding areas. Our friendly and knowledgeable staff will walk you through each step of the creative process to ensure your expectations are consistently exceeded. 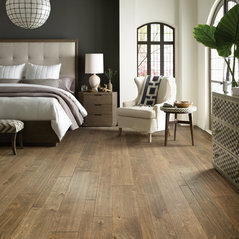 We are a full-service flooring dealer, meaning we can provide installation on anything we sell. Our expert installers will provide quality craftsmanship and the utmost respect for your home during the installation process. You deserve a high-caliber experience, whether you are shopping for products with us or using our complete “turn-key” process. Our professionals will ensure you experience nothing but the best. In February 2014, The Floor Store was honored with “Best Business” recognition by Robins Regional Chamber of Commerce. This award is due to our diligent work - from the owner, Jim Nadeau to his staff and crews of installers. We proudly service the cities of Warner Robins, Kathleen, Centerville, Bonaire, Perry, Cochran, Hawkinsville, Macon, Byron, Fort Valley, Georgia and the surrounding areas.